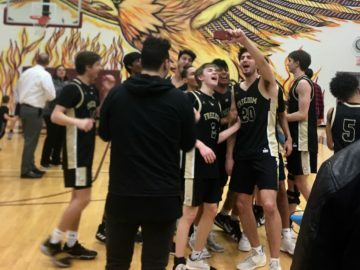 Still work to do for Freedom on Wednesday, but the celebration was on after the Eagles' comeback victory over Potomac Falls. 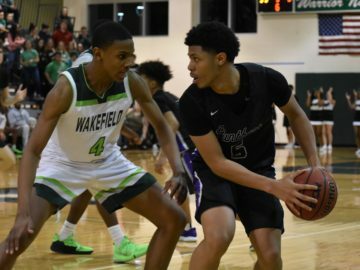 Potomac Falls senior guard Damien Harrison (four assists) controls the rock against the Warriors' Jared Watkins. 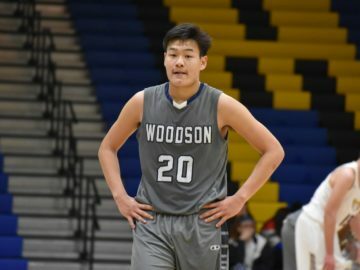 Chinguun Ganbold and Woodson have a great first-round matchup with T.C. Williams in the Occoquan first round. 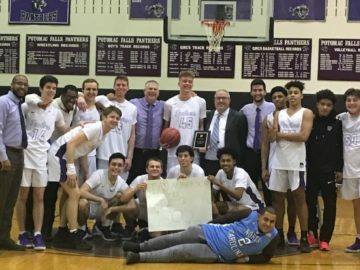 Potomac Falls players and coaches pose with Ian Anderson after the historic night and huge team victory. 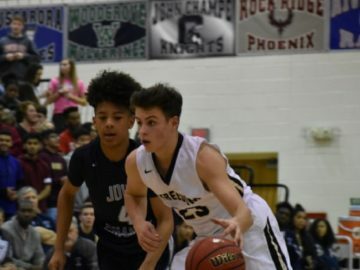 Junior guard Robbie Kemmerer is one of several Freedom players who should improve markedly this season. 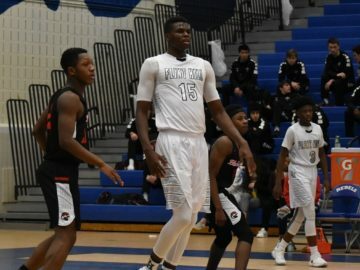 The Huskies' Qudus Wahab may have been the area's most dominant player this year, regardless of class. 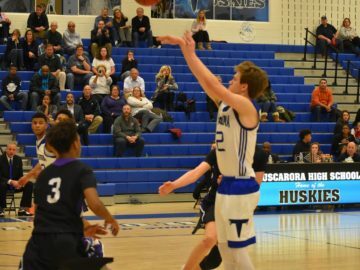 Tusky guard Chandler Tuten buries another key three in the fourth quarter to put the Huskies up 63-56 with under two minutes left. 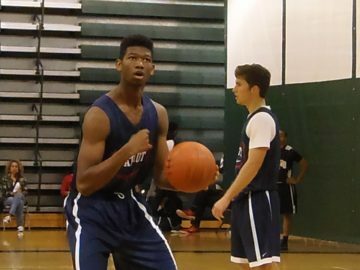 Center Miles Middleton is one of seven returning varsity players for the Patriot Pioneers, clearly a program on the rise. The Wildcats' Bryce Douglas was Mr. Clutch, winning more than one game in the final seconds. 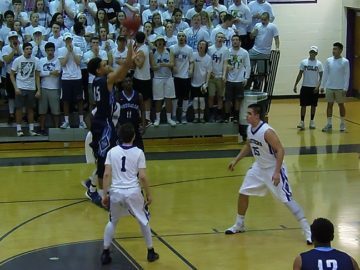 Potomac's Edward White (six points, 16 rebounds) takes a shot in the first half of Thursday night's game at Potomac Falls.